This fall, the Hell's Kitchen Flea will welcome many new vendors and artisans, including Hell's Kitchen's own mosaic artist Judy Negron who will exhibit at the Hell's Kitchen Flea on Sunday September 25 and demonstrate her mosaic techniques from 12-2. 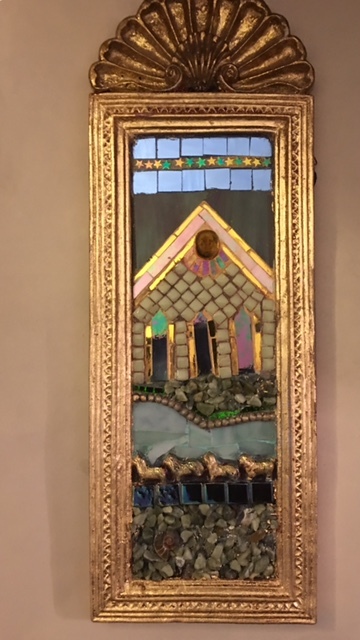 Judy's magnificent mosaic pieces are currently on exhibit at the Jadite Gallery at 660 Tenth Avenue (46th-47th) and she recently won her a visual arts grant from The Hell's Kitchen Foundation. 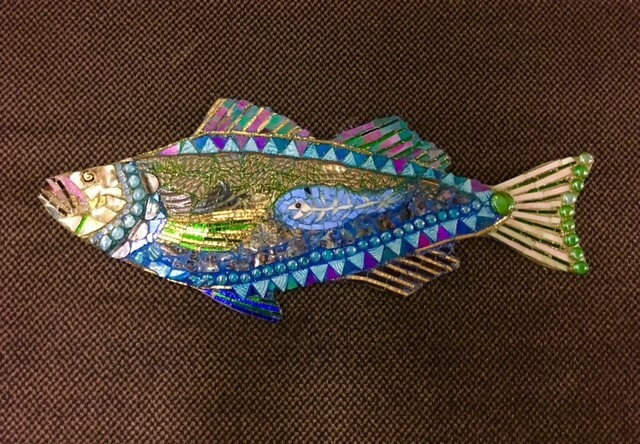 Judy is a mosaic artist, etcher, and painter (sometimes combining all three techniques in one work). She has exhibited nationally and internationally. Some exhibitions include; la Main D'Or, Paris, Assisi, Italy, Cadaques, Spain, Museum of Modern Art Wales. In the U.S.; NYU Gallery, Kathryn Markel Gallery, Prince Street Invitational, Jadite Gallery. Her work is included in The Museum of Modern Art collection, the collection of Deepak Chopra, La Sirene restaurant, Taureau Restaurant, The Wine Escape, and many other private collections. A commissioned piece: Two Cats, can be seen on the facade of 447 West 44th Street. The Hell’s Kitchen Flea Market is located on 39th St. between Ninth and Tenth Avenues, and is open from 9-5 every Saturday and Sunday. Admission is free. For more information, please contact Amy Wolfcale, amy@falconandwolf.com, 917-576-8767. Also, visit our page about the Hell's Kitchen Foundation!